in private parking charges, an investigation found. Ahhh..... the same old lack of accountability/friends with benefits problem. When did you say you were going to fix this, Bill? Twelve city Department of Education administrators, including top deputies of Chancellor Carmen Fariña, used their DOE credit cards to throw lavish staff parties, bought expensive goods that couldn’t be found, and failed to document thousands of dollars in purchases, an investigation found. 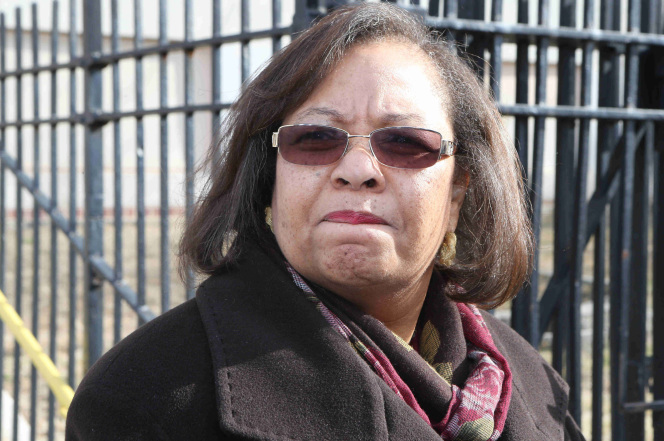 Those slapped for violations include Fariña’s second in command, Dorita Gibson, who had no records to justify $3,574 in private parking charges as business-related. Special schools investigator Richard Condon, in a newly released 2013 report, found the dirty dozen misused their “procurement cards,” or p-cards. Several treated fellow supervisors to dine on the taxpayer’s dime at posh eateries such as the Morton’s Steakhouse in Manhattan, Red Rooster in Harlem, Carmine’s, and the Park Side Restaurant in Queens. Derek Jones, a former Children First Network leader, held an “end-of-year celebration” for school principals at Morton’s at a cost of $3,655, or $140.57 per person. That far exceeded the DOE’s limit for food at staff meetings, $8 per person. Jones’ explanation: He had to guarantee payment for 65 guests, but only 26 came. Jones also swiped his p-card at Best Buy for a $1,524.68 Mac laptop and a $1,414.98 camera. Rules require employees to keep receipts for six years, but Jones had none, and said, “I did not know that.” Nor did he know what became of the laptop or camera. He also charged many personal lunches and Starbucks beverages, saying he was taking DOE phone calls at the time. Patrick Fagan, another DOE network leader, used his p-card 53 times to buy himself lunch, coffee and bagels before or after DOE meetings. Total: $495.95. Fagan failed to document a total $9,744.86 in charges. He spent $7,900 for an Urban Assembly HS graduation party on Governors Island, but could not account for $1,400. Fagan also bought snacks and refreshments, but could not prove the purchases were work-related. Manner also treated fellow supervisors to seven dinners at other restaurants, all far exceeding the $8 limit, including one at Carmine’s for $74.36 a head. He bought food for six breakfast meetings costing up to $30.26 a head — well above the $3 per person limit. Corinne Rello-Anselmi, now Fariña’s deputy chancellor for specialized instruction, did not keep records for $1,926.50 in parking charges or for $1,133.06 in food charges up to $233 each. The city would not say what discipline, if any, was imposed on the 12 administrators, who all got six-figure paychecks. Four have left the DOE.